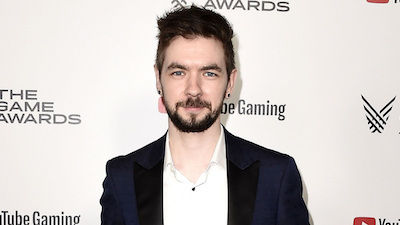 Seán William McLoughlin (born 7 February 1990), better known by his online pseudonym Jacksepticeye (or simply Jack), is an Irish YouTube personality, known primarily for his comedic Let''s Play series and vlogs. As of April 2018, his channel has over 9.2 billion views and over 19 million subscribers, currently ranked the 35th most-subscribed YouTube channel as well as the most-subscribed channel in Ireland. We have no Management details registered for this Artist, please click here to request details to be listed! You have to be logged in to view full entity profile! Please Log in or or Sign Up for a Free Trial to view this entity!